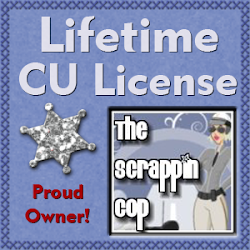 The Scrappin Cop: CU OK Bookplates .csh and pngs plus Examples! CU OK Bookplates .csh and pngs plus Examples! Today’s freebie is a set of bookplate shapes in a Photoshop .csh file and individual pngs for the non-PS/PSE users. I also included the examples that I created while I was playing around with them. UPDATE 4/3/10! I’m an idiot and the .csh file was wrong in this download. I updated it on this date so all the shapes are included. Sorry!! Thank you for these great bookplates and examples! These are great shapes Deb! Thanks! Thanks, Deb; these are really cute! Thank you very much. They'll be useful. Many thanks- it amazes me how you come up with so many ideas. These are quite nice, thanks so much. Thanks, these will be very usefull. Sure wish that I had at least 10% of your talents in all these amazing items you give so freely. Also wish I could figure out how to get .asl style files to work in PSE8. If you have any hints on that, it sure would be appreciated. Thank you so much for this post. I want to let you know that I posted a link to your blog in CBH Digital Scrapbooking Freebies, under the Page 1 post on Mar. 29, 2010. Thanks again. TY Deb for these amazing bookplates. I truly appreciate these, I've needed something like this for a while. Awesome job. Thanks again. 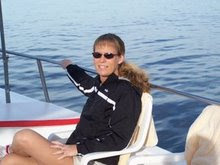 Thank you for sharing your wonderful talents with us Deb! Wonderful bookplates! Thank you so much! These are great, I love seeing all your examples - very inspiring! Thanks so much for sharing! great item!!! thanks so much! Many Thanks for creating and sharing your work...! Thanks so much for sharing! These are great!